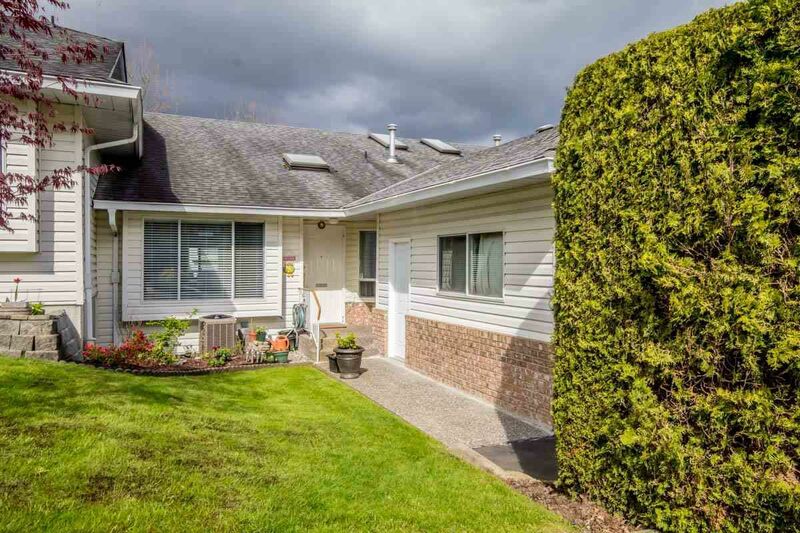 Rancher unit with walk out lower level in great adult complex. Brand new white kitchen with glossy cupboards, custom designed counter tops, new dishwasher, enlarged pantry and under counter lighting. New window blinds throughout. Painted from stem to stern. New vinyl planking floor through the main part of the upper level and new carpet in all the bedrooms, den and rec room. Central vac and AIR CONDITIONING. Bright and spacious. One car garage plus one parking spot in front of the unit. RV parking. Reasonable strata fees. No work to be done.